This year the Motorcycle Hall of Fame honored Cook Neilson for being the only man to ever win a Daytona Superbike race on a Ducati. Cook and Phil Schilling pulled this feat off as privateers, making the accomplishment all the more incredible. 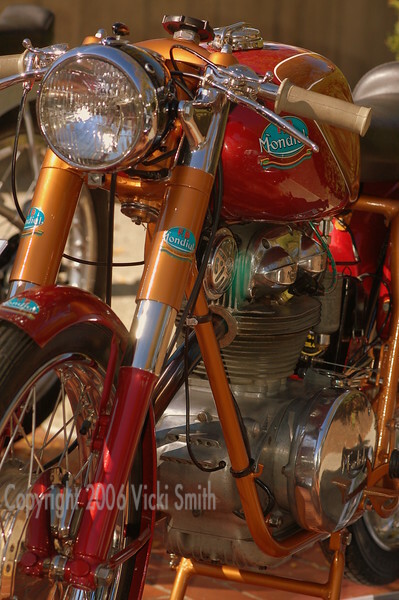 Here are the photos from the induction ceremony and the bike show held on the museum grounds. The Hall of Fame Museum show is an invitation only show, now in it's 5th year and is probably the toughest motorcycle show in the US at this time because it attracts the winners of virtually all the other notable shows and attracts a real balance of all makes, models and conditions. I spent the best part of the day looking at these pedigreed motorcycles of every kind imaginable through a camera lens and hope you enjoy the results.